The experience of endometriosis can impact on every aspect of a woman’s life and of those around her, although the range of experience is diverse. 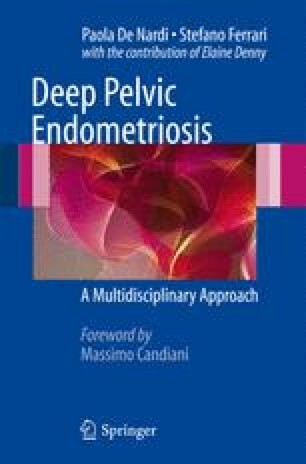 Using qualitative research undertaken with women with endometriosis, this chapter explores the experiences that are most frequently reported. It begins by considering the well-documented delay in diagnosis, and comments on the impact that receiving a diagnosis can have. It then moves on to explore the pain of endometriosis, and the way in which women describe this. A particular type of pain that is common in endometriosis is dyspareunia and this is discussed along with fertility, as both are important aspects of sexuality that may be disrupted by endometriosis. The impact of endometriosis on a woman’s life is played out in her social relationships, her interactions with health professionals, and her experience of interventions and treatments. These issues are presented in remainder of the chapter. Through the words of women with endometriosis, the impact of the disease is brought into sharp relief.